There are many reason why Whisky lovers should be part of this wonderful Society. The first and the biggest reason is to have access to the worlds largest selection of Single Cask, Cask Strength Scotch Whiskies. 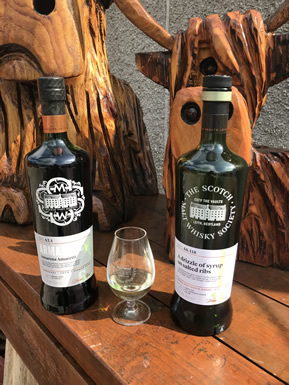 It is only members that can purchase these bottlings, either by visiting any of the venues or via on-line mail order. 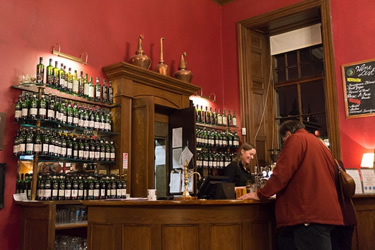 Other reasons include the ability to visit our members rooms (The Vaults in Leith, 28 Queen Street in Edinburgh and finally Grenville Street in London) and take in up to three guests to enjoy the fabulous Whisky, atmosphere and food. All bar staff together with The Society Ambassadors are on hand to assist anyone in there choice of drams. The Society also boasts a large selection of partner bars throughout the world from Glasgow to Las Vegas and Sydney to New York, check their website for the full list. Other big reasons are what events that each venue organises which range from free music evenings, visiting distillery Ambassadors to do a tasting of their core range and couple of Society Whiskies, blending workshops, food pairing this list just goes on and on. Membership can cost as little as £65.00, now that works out at only £1.25 a week. I cannot think of anything in the Whisky World that offers su ch great value for money. Ireland (North & South) Wales, Japan, India to mention a few. They are also bottling Bourbon and Rye from the USA. Cognac and Armagnac from France. Currently the Society is bottling it’s second Blended Malt and it’s second Scottish Gin. As you can see there is something for everyone and a chance for the Whisky lovers to investigate and taste other grand spirits. This September the Society celebrates it’s 35th birthday and to date they have approx 25,000 members world wide, they must be doing something right. Nicola and I have been members for close on 10 years. Go to The Scotch Malt Whisky Society and let your new adventure begin.